Located at the entrance to the London Silver Vaults on Chancery Lane, London, Koopman Rare Art have been the pre-eminent dealers of the finest antique silver for nearly 50 years. 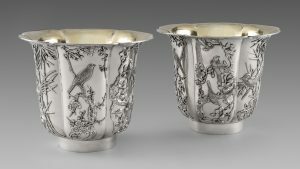 The company deals in silver from as early as 1500 through to the present day and holds the largest selection of works by the great silversmiths of all time such as Paul de Lamerie, Paul Storr and Garrard. Directors Timo Koopman and Lewis Smith have built up some of the most important private collections of silver and worked closely with leading museums worldwide.